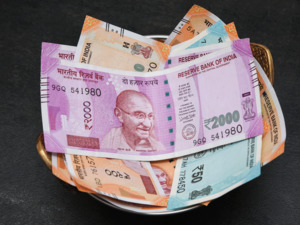 Reacting to the Reserve Bank of India’s (RBI) 25 bps repo rate cut last week, the State Bank of India (SBI) announced a 5 basis points (bps) cut in its marginal cost-based lending rate (MCLR) across all tenors. This will come into effect from April 10, 2019. According to PTI, the revised one-year marginal cost of funds-based lending rate (MCLR) stands at 8.50 percent down from 8.55 percent earlier, the bank said in a statement. The lender has also cut interest rates on housing loans up to Rs 30 lakh by 10 bps. Accordingly, the interest rate on housing loans below Rs 30 lakh will be in the range of 8.60-8.90 percent, from 8.70-9 percent earlier, as per the PTI report. Since February this year, banks, both private and public sector, have been cutting their MCLR marginally. SBI, in February, had announced a cut in home loan rates by 0.05 percentage point for loans up to Rs 30 lakh. Then in March, HDFC Bank reduced its MCLR for loans of two- and three-year tenors by 5 basis points to 8.85 percent and 9 percent, respectively. The new rates are effective from March 7, according to the bank’s website. However, the MCLR for overnight, one month, three months, six months and 1-year tenor loans remain the same at 8.35 percent, 8.4 percent, 8.45 percent, 8.55 percent and 8.75 percent, respectively. Earlier, the rates for two- and three-year tenors stood at 8.9 percent and 9.05 percent, respectively. On March 5, Bank of Baroda reduced its benchmark lending rate by 0.1 percentage point. The bank has reduced the lending rate by 10 bps across all tenors up to one year. The MCLR for overnight and one-month tenors would be 8.25 percent and 8.30 percent, respectively. Another bank that cut its MCLR is Punjab Nation Bank (PNB). In February, PNB reduced its MCLR by 0.10 percentage point for various tenor loans. The one-year tenor has been cut to 8.45 percent from 8.55 per cent. The three-year MCLR has been cut to 8.65 percent. The rates for overnight, one/three/six-month MCLRs are also down by 10 basis points each at 8.05 per cent, 8.10 percent and 8.15 percent respectively.